Anurag Kashyap's Mukkabaaz has received positive reviews from Bollywood critics and celebs. Anurag Kashyap's Mukkabaaz narrates the story of a lower-caste boxer's journey of becoming a successful sportsman. Set to release on Friday, January 12, the movie has received a lot of appreciation from Bollywood critics and celebs alike. Box office prediction: Kaalakaandi, 1921, Mukkabaaz clash this Friday; who will win the opening battle? The film is set in Bareilly, Uttar Pradesh and is apparently inspired by a true story. Starring Vineet Kumar Singh, who has showcased his acting prowess in Anurag's Bombay Talkies, Gangs of Wasseypur and Ugly, Mukkabaaz is co-produced by Anurag and Anand L Rai. The film also features Ravi Kishan and Jimmy Shergill in key roles. No Bollywood film is complete without a love angle and Mukkabaaz is no different. 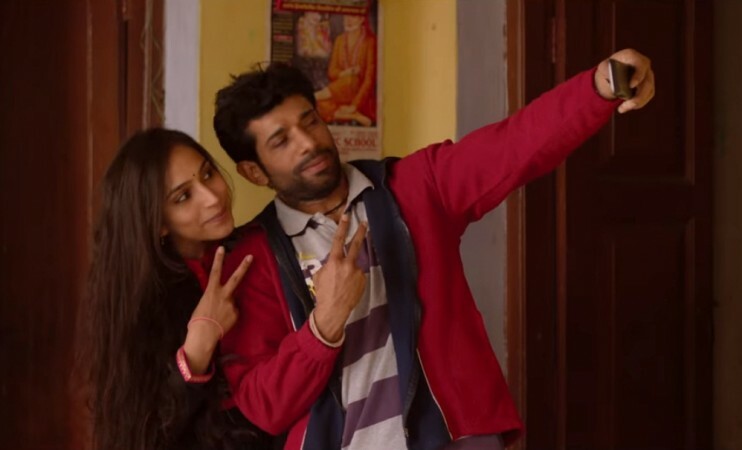 Besides the boxer's journey, the film showcases the unique love story of a mute girl, played by Zoya Hussain, and Vineet's character. Critics have lauded Vineet's performance. They said he got into the skin of the character. They believe Vineet alone carried the film on his shoulders. The film makes one cry, laugh and also think about the corrupt system. The celebrities are also in all praise about master craftsman Anurag for bringing such a brilliant story on to the screen. Jimmy too has proved yet again that he is one of the finest actors in the industry. Umesh Punwani of Koimoi said: "Don't expect a Rocky or Gangs Of Wasseypur, because this is not. Growing comfortably in its own little space, Mukkabaaz fits perfectly to the genre of Anurag Kashyap films but this time it's comparatively less dark & more entertaining. Don't think, go watch!" Renuka Vyavahare of the Times of India wrote: "While the film is essentially a love story that lands some hard punches on the social stigmas through boxing, the bouts are as real as they can be. The one featuring professional boxer Neeraj Goyat will strap you to the edge of your seat." "The casting is brilliant as well. Vineet Kumar Singh's rigorous regime pays off as he looks like boxer, who is fit enough to probably box for real. Zoya Hussain makes a spectacular debut as Sunaina, the feisty young woman who refuses to be a hapless victim despite the circumstances. Ravi Kishan delivers a powerful performance and Jimmy Shergill is outstanding as the oppressor of the meek." The film falters when it slips into melodrama. There are some scenes which are played strictly for laughs (convent schools and the use of the English language are the butts, as they have been in other Kashyap films). You wish some of the slack had been taken up by things more useful, especially in a film as stuffed with issues." Namrata Joshi of The Hindu said: "There is something very Sairat-like about the love story; in the yawning caste divide — she is from upper and he from lower caste, in those stolen glances, in the role reversal — how the girl is aggressive and the boy shy. Kashyap has a fantastic cast, led by Singh who gives both his body and soul to Shravan. But, as usual, the odd ones out, stand out — RajeshTaliang as Shravan's father is an understated delight. But there's also lots that rankles. The film's protracted length, for instance." Saibal Chatterjee of NDTV said: "Mukkabaaz packs a massive punch. Watch it because it is one of the more important films to have come out of the Mumbai movie industry in recent times. If Mukkabaaz is never less than riveting, much of the credit must go to the full-blooded, loose-limbed performance from Vineet Kumar Singh in his first starring role. The instantly arresting Zoya Hussain, who obviously has no spoken lines to deliver, is an absolute treat to watch." Screenwriter Ramkumar Singh tweeted: "What a film.. what a performance..What an experience..loved it..#Mukkabaaz @anuragkashyap72 @aanandlrai @ItsVineetSingh @ErosNow"
Satyajeet Dubey: This man is phenomenal in #Mukkabaaz @ItsVineetSingh I've rarely seen someone working so hard for a role. Inspirational stuff happening here. Bar has been raised and how!! !